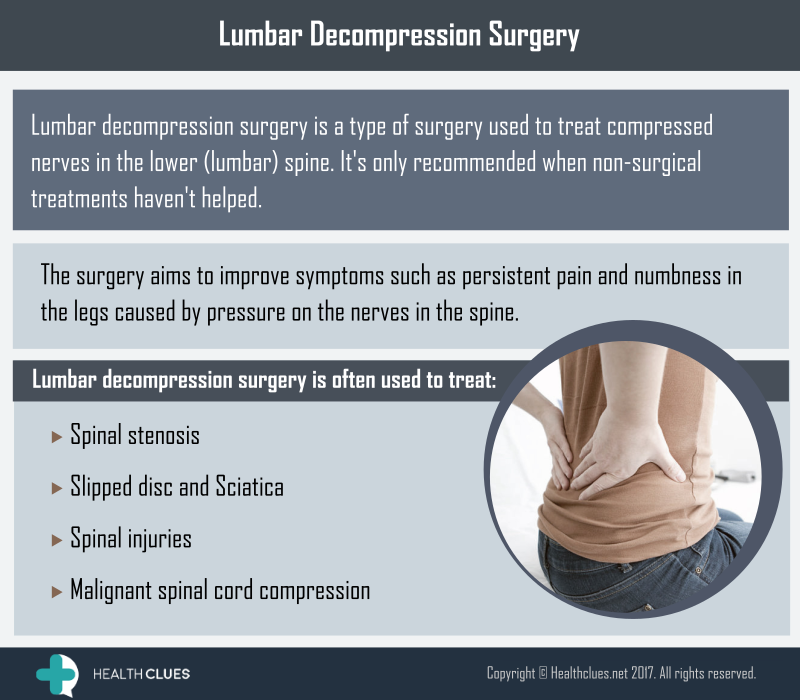 Lumbar decompression surgery is a type of surgery used to treat compressed nerves in the lower (lumbar) spine. It’s only recommended when non-surgical treatments haven’t helped. Back Pain, Infographics back pain, decompression surgery, disc, Lumbar decompression surgery, slipped disc, spinal decompression surgery, spinal stenosis, spine health, spine surger. permalink.